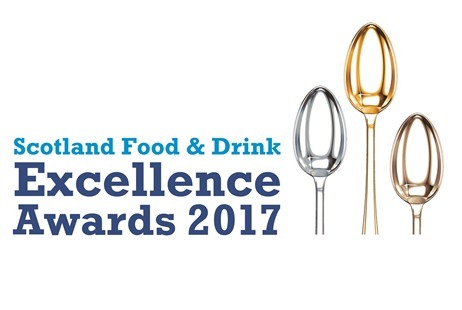 Last week I was delighted to be asked by Scotland Food & Drink as one of their chef Ambassadors to attend the annual Excellence Awards. 820 guests was a mammoth undertaking and I am happy to report that the food and drink service considering the scale of the task was excellent. What a great start. Graham’s the Family Dairy winning for their super creamy Gold Milk in the dairy category. 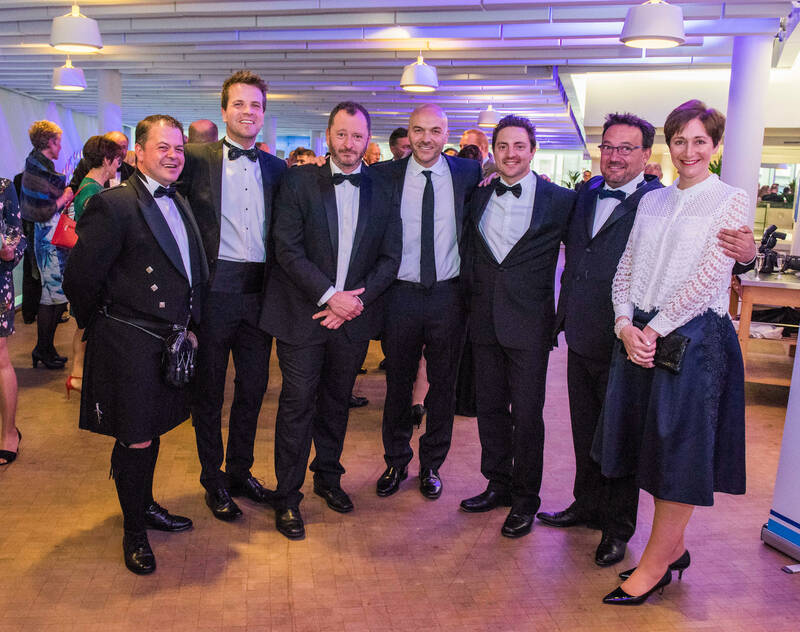 At our table we had Loch Duart Salmon winning for Foodservice Product of the Year. Yester Dairies were also shortlisted for their creme fraiche in the dairy category. And Mara seaweed winning for their Furikake in the Healthy Choice category. Mackie’s crisps also getting the award for their Mature Cheddar & Onion Crisps. Lovely to get a cuddle from fellow chefs Neil Forbes of Cafe St Honore and Fred Berkmiller of L’escargot Blanc who brilliantly won for best sourcing. Our dear friend Robert Corrigan of Mr C’s Pies was looking as dapper as always. 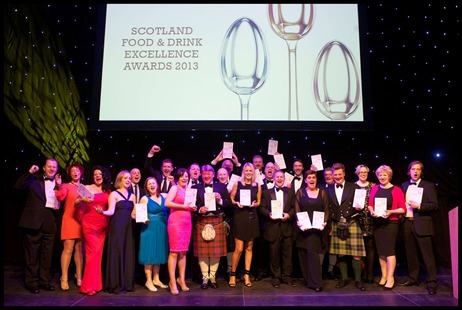 So many of the champions of our industry from farmers, producers, small artisans to large exporters passionate about promoting Scotland’s larder. What a great club to be part of. Very proud to play a very tiny part in showcasing all the great work that is undertaken.